“Are you by yourself?” My sister asked me when I answered the phone. I could scarcely hear her over the whine of saws and the pounding of nails as we rushed to finish the house we had started on our lot. “Yeah.” I hate conversations that start like this. My stomach chokes me with a sense of dread. My feet feel heavy and my heart pounds. I can’t help but get that, oh-no-I’ve-been-called-into-the-principal’s-office feeling. I went out the unfinished front door, crossed the street and sat on the trailer. “So, what’s up?” I asked again. “I think Laura is depressed.” My sister’s gift is bluntness. “Um, ok.” My mind whirled around the possibility, probing for proof to validate Vickie’s concern. “Ok.” I wanted to scream at Vickie that she ought to examine the plank in her own eye. I’d heard Laura and Sarah’s version of the ‘fight’. “Uh, ok. I’ll talk to Laura about the fight and monitor her behavior.” She is a teenager, after all. They’re supposed to be sullen and angry, aren’t they? Why, just last week our family doctor had asked how the girls were doing, if they’d had any problems because of Pedro’s cancer. As if! We were fine. We’d experienced a miracle and lived in gratefulness. “Is there anything else on your mind, Vickie?” Better to hear it all in one conversation. I sighed as I hung up the phone. There had been that incident last spring when Laura’s best friend’s mom called the principal to let him know that Laura had talked about suicide to a family friend. I’d taken Laura out to coffee and broached the subject. She told me it had been a moment of stupidity and that everything was o.k. I believed her. The phone call nagged and niggled at my mind as we finished the house enough to make the bank deadline and roll the construction loan into a permanent loan. Laura seemed to be having panic attacks—bad ones—with greater regularity. 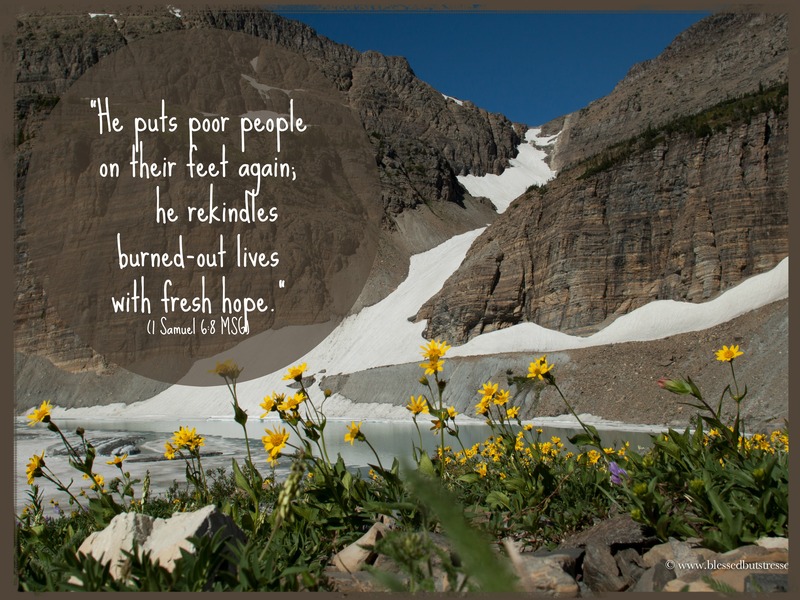 The phone call nagged and niggled at my mind as I started my new part-time job at a local Christian bookstore so that we could finally recover financially from Pedro’s cancer. Physical recovery: one year; financial recovery: four years and counting. The phone call nagged and niggled at my mind when I finally figured out that Laura had been avoiding prolonged exposure to my presence because she’d pierced the cartilage in her ear. Not an Ojeda thing to do. Not allowed by school policy. Definitely not an expected behavior. I managed to gulp back dismay at this revelation, break the news to Pedro and work though it all. Only to have her pierce her ears and wear earrings to school the following week. Sigh. Adolescence isn’t Terminal, It Just Feels Like It by Kevin Leman was my new favorite book and mantra. The phone call nagged and niggled at my mind when I noticed a deep cut on Laura’s leg. “What happened to your leg?” I exclaimed. That was no shaving cut! “Oh.” What a relief. I’d heard that some angst-filled girls at school were starting to cut themselves. In fact, I’d heard it from Laura. The phone call nagged and niggled at my mind when I dropped Laura and two friends off at Wal Mart and almost admonished, “Don’t do anything stupid like shoplift, ok?” I had only thought it, though, I hadn’t said it. I struggled to let Laura have independence and to not embarrass her in front of her peers. I could be so clueless at times. “Where’s the other amiga?” I asked forty-five minutes later when I stopped to pick them up. “Yeah, maybe her dad picked her up.” Both girls nodded solemnly. Since I had to be back at the school for evening supervision, I bought their line. I wanted to believe it. I tried calling the friend’s phone. I got a phone call from the friend’s mom, asking if I knew what was going on. At the end of our seven-mile drive back home, I had the truth. They’d been shoplifting and the missing friend had gotten caught holding the bag. I slammed the brakes on in front of the girl’s dorm to let out our passenger, grabbed my cell phone and dialed Pedro. “Good. You’re home. Can you please take Laura back in to Wal Mart? I’m late for supervision and she’s been shoplifting.” No sense calling a dog a horse. I’d deal with the devastation and consequences later; right now, I was late for duty. The phone call nagged and niggled at my mind as Laura left for a mission trip to Guatemala with a group of students from the school—missing both her birthday and Thanksgiving at home. Was she having panic attacks? I worried. The consequences of her shoplifting had been rough on her—suspension, getting kicked off the volleyball team right before the tournament, loss of respect in the small community we lived in. Shucks, the consequences of her shoplifting had been rough on ME! How responsible for her actions was I? I was a teacher, for goodness sake. I suddenly struggled just to go to school each morning. I was a failure as a parent. Fortunately, closet youthful shoplifters came out of the woodwork to share their follies with both Laura and I. We’d made it through the incident—our fragile family of four, stronger and more understanding of each other’s hurts and needs. I thought. I hoped. The phone call nagged and niggled at my mind when Laura wanted me to cut her long, beautiful hair as short as her best friend’s hair. Hadn’t I read somewhere that hair cutting and other sudden changes in appearance mean something in a teenager? Or was she just struggling with her identity and trying to fit in with her peer group. The phone call nagged and niggled at my mind as Laura jumped up from the cafeteria table and stormed out of the building. I ended my conversation with a fellow teacher, took my tray to the dish rack and hurried out behind her—on a different path, but where I could keep her in sight. I tracked her down in the girl’s bathroom. She had just kicked a hole in the wall of the stall she was in. I waited. When she came out, I put my arm around her and asked her if she wanted to skip geometry and come back to the house to have some tea or coffee. She sullenly agreed, and we hurried home before the lunch crowd returned to the ad building. “You cut yourself, don’t you?” The words jumped out of my mouth instantaneously with the thought. The cut on her leg. My book. She’d taken my book from my bathroom. I’d picked it up at the store where I worked because the title intrigued me, Inside the Cutter’s Mind. I wanted to know what cutting was all about—who, what, when, why and where. I’d really been reading about inside my daughter’s mind. My beautiful, whacky, zany, funny, amusing, loving, sad, sullen, hurting daughter. What took me so long? I, who prided myself on my intuition and empathy had missed a million clues to my own daughter’s pain. How would I ever forgive myself? Cancer’s sticky fingers reached out to pull us down again–maybe not with the actual disease, but with the long-term effects in the lives of other family members who had lived through the trauma. We took Laura to the family doctor and found a counselor for her. In retrospect, we should have ‘done cancer’ differently. If I would have known how devastating the sticky fingers of the disease could be, I would have signed us all up for counseling at the time. I realize I can’t blame myself for what I didn’t understand at the time–that a support group and counselors trained in helping children through trauma would have been a good idea. Our family and community did all they could–but none of them had the expertise to deal with children living through the traumatic illness of a parent. 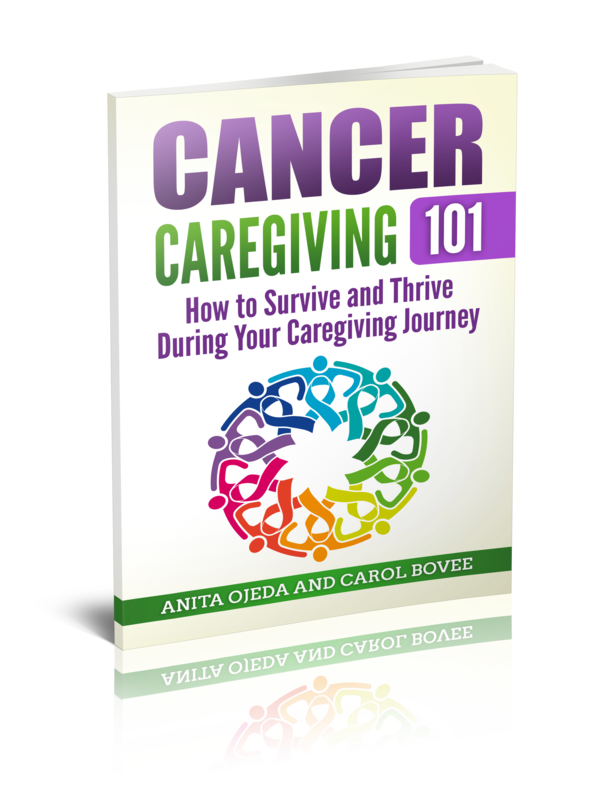 But I can offer our story up as a cautionary tale for other caregivers. You don’t have to do everything alone. Join a support group. Find professional help for yourself or your children. For more comfort for caregivers, start here. Thank you to my beautiful daughter Laura Melchor, who allowed me to tell her story. She is a writer and blogs at Blogging Blackbird.